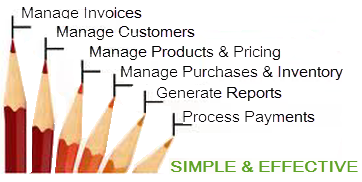 S&P-sysDNA, Version-1.0 is a proprietary web-based Billing / Sales and Purchase application developed to cater to the retail and other businesses with a product line and multiple Billing centres either in same or different geographic locations. Savinirs RFID Readers, an Indigenously developed RFID Reader providing interactive solution for various requirements. Savinirs RFID Readers is an aesthetically looking interactive RFID Reader, which reads 4 byte UID,7 byte UID and 10 byte UID card and transfers the data through wireless/LAN/port method to server. Savinirs RFID Readers Readers can be used for Employee Time and Attendance Tracking & Management. It has the capabilities of realtime updation on to the server and can be easily integrated with HR-sysDNA product for a better attendace and time tracking system.